Series of low tables realized by glued 6 mm thick tempered glass plates, cut with a water jet and with 45° chamfered edge. 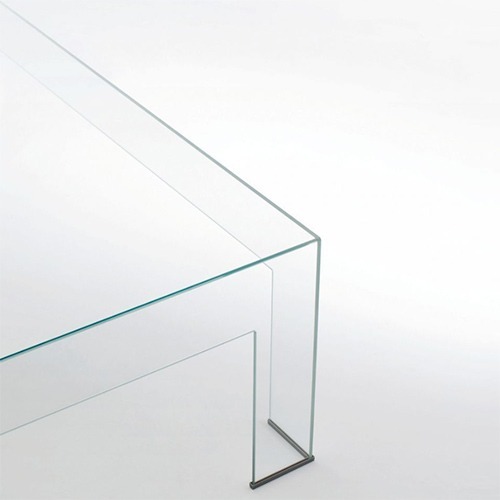 Available in extralight transparent glass or glossy lacquered glass. The formal purity, the sobriety, and the sophisticated craftsmanship are the principal characteristics of this table. Please inquire for full list of glossy lacquer colors.